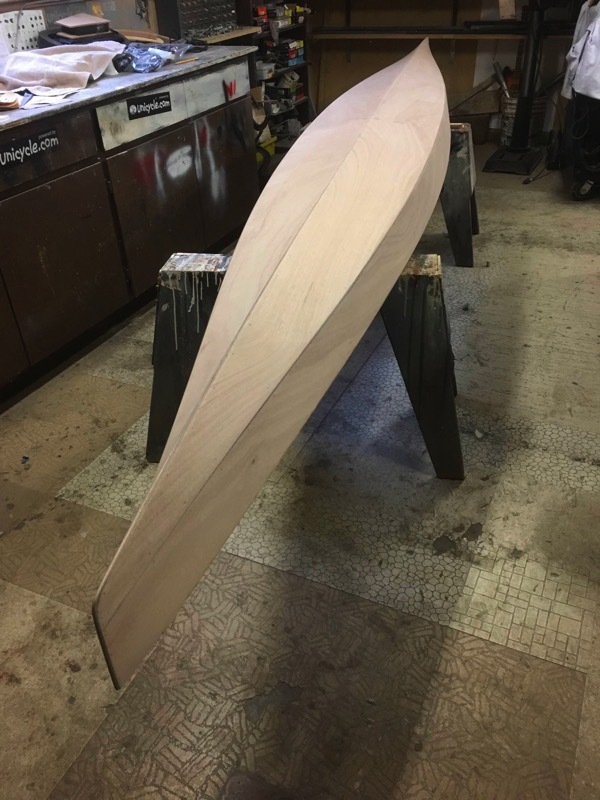 Building the Chesapeake 16LT Kayak: Part 6 – The bottom side glassing! 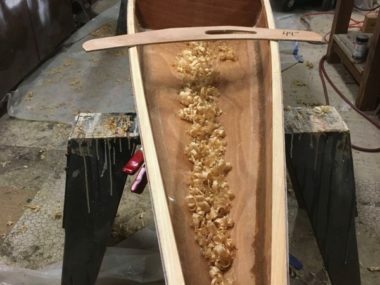 The next big step is to glass the hull bottom. I sanded down the putty with 80 grit, and then went through all the grades all over the kayak: 100/120/150/220. You then cover it with the fiberglass and smooth it out by hand. 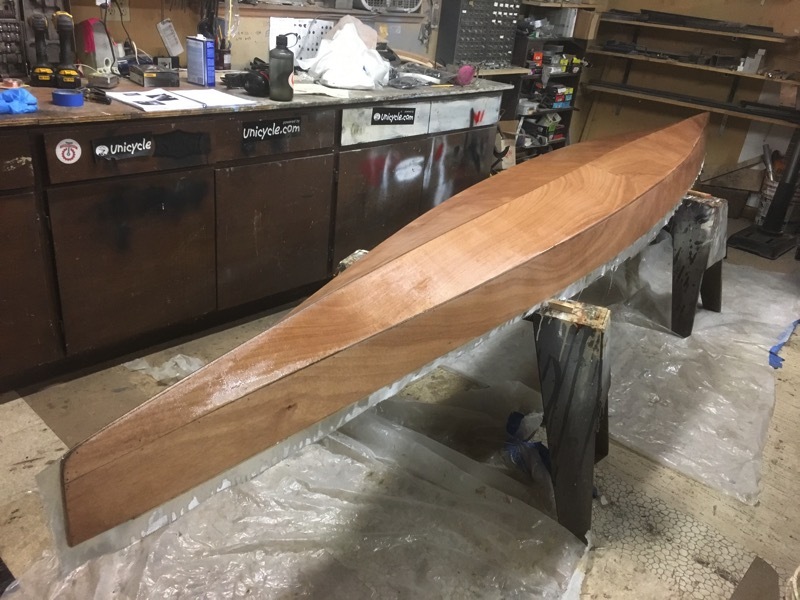 The directions said you could smooth it out over the bow (the front — away from you in the picture below) of the boat without cutting it; I was a bit skeptical about this, but sure enough…you can pretty easily get it to smooth over the front of it. 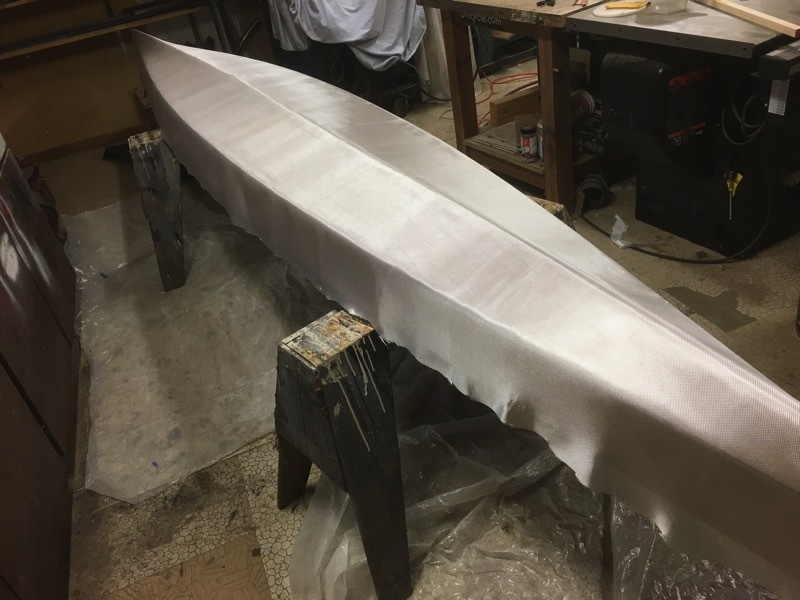 The next part was smoothing over the fiberglass with un-thickened epoxy (no additives). 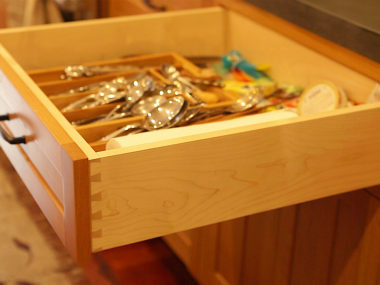 You use a plastic scraper to embed it, and a small disposable brush to get some of the more vertical parts.